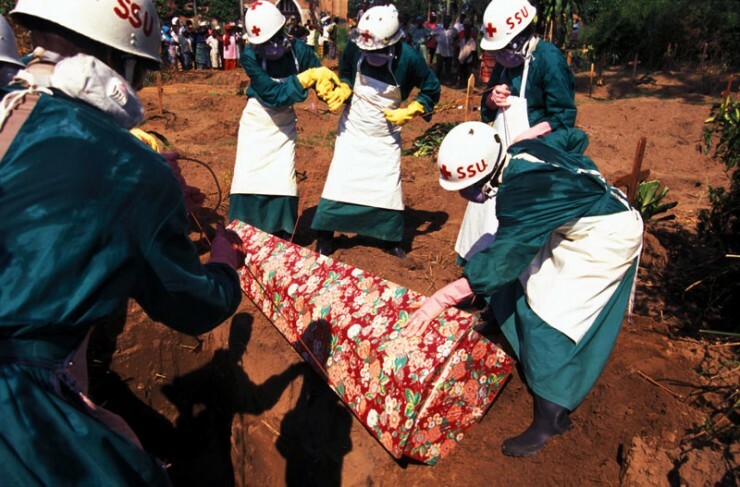 Ebola: Still outpaced, nurses strike, and why West Africa? More than 400 health workers involved in treating Ebola patients have gone on strike at a clinic in Sierra Leone. The staff, who include nurses, porters and cleaners, are protesting about the government’s failure to pay an agreed weekly $100 (£63) “hazard payment”. 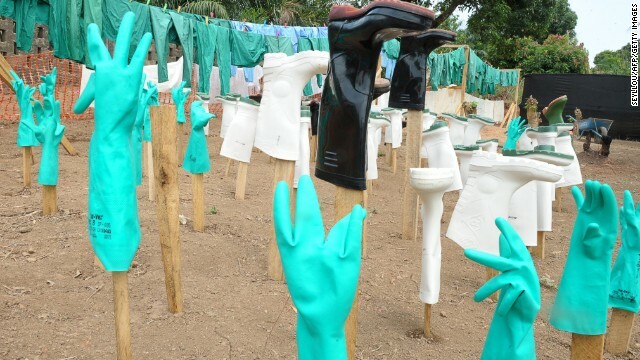 The clinic, in Bandajuma near Bo, is the only Ebola treatment centre in southern Sierra Leone. In Mali, a nurse and the patient he was treating earlier became the second and third people to die from Ebola there. 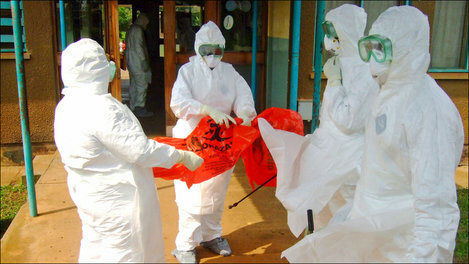 Nearly 5,000 people have been killed in the outbreak of Ebola in West Africa, mostly in Guinea, Liberia and Sierra Leone. The World Health Organization (WHO) has declared the outbreak a global health emergency. The Bandajuma clinic is run by medical charity MSF, which said it would be forced to close the facility if the strike continued. MSF’s emergency co-ordinator in Sierra Leone, Ewald Stars, told the BBC that about 60 patients had been left unattended because of the strike at the clinic in Bandajuma. Meanwhile, Reuters reports that in the US, National Nurses United are organizing strikes and rallies over inadequate protection for healthcare workers. An Ebola outbreak of unprecedented scope emerged in West Africa in December 2013 and presently continues unabated in the countries of Guinea, Sierra Leone, and Liberia. 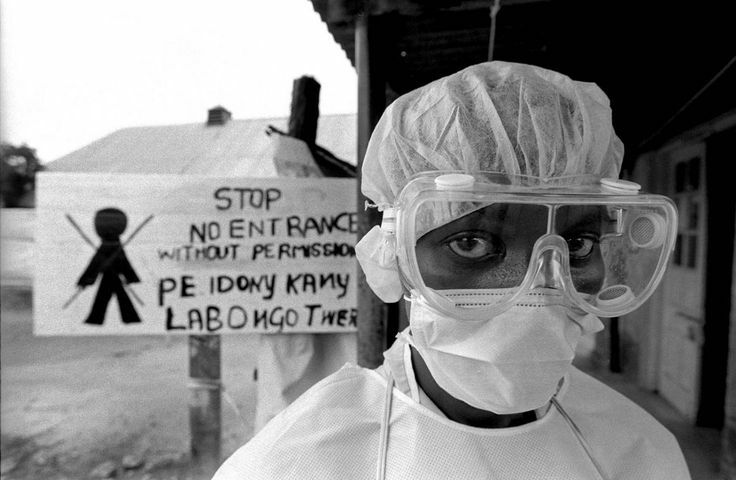 Ebola is not new to Africa and outbreaks have been confirmed as far back as 1976. The current West African Ebola outbreak is the largest ever recorded and differs dramatically from prior outbreaks in its duration, number of people affected, and geographic extent. The emergence of this deadly disease in West Africa invites many questions, foremost among these: Why now and why in West Africa? Here, we review the sociological, ecological, and environmental drivers that might have influenced the emergence of Ebola in this region of Africa and its spread throughout the region. Containment of the West African Ebola outbreak is the most pressing, immediate need. A comprehensive assessment of the drivers of Ebola emergence and sustained human-to-human transmission is also needed in order to prepare other countries for importation or emergence of this disease. Such assessment includes identification of country-level protocols and interagency policies for outbreak detection and rapid response, increased understanding of cultural and traditional risk factors within and between nations, delivery of culturally embedded public health education, and regional coordination and collaboration, particularly with governments and health ministries throughout Africa. Public health education is also urgently needed in countries outside of Africa in order to ensure that risk is properly understood and public concerns do not escalate unnecessarily. To prevent future outbreaks, coordinated, multiscale, early warning systems should be developed that make full use of these integrated assessments, partner with local communities in high-risk areas, and provide clearly defined response recommendations specific to the needs of each community. Originally posted July 26, 2014 and edited by me. In literary terms, the death of Patrick Sawyer in Lagos marks a plot point in the Ebola narrative, the kind of event that ends a chapter and makes readers both eager and afraid to turn the page. That’s a key reason why Ebola is in the news at all: it’s a classic “McGuffin,’ the basis of an exciting and convoluted story. Other diseases sicken and kill far more people around the world, but we’ve developed psychological immunity to them. Ebola gets past our defences: it’s hemorrhagic and rapid. It can destroy your internal organs, and it’s most contagious to the people who care for the victim. It threatens to overturn the foundation of society. The present outbreak, beginning early this year, gave us a good opening hook: the small beginning. In an obscure corner of an obscure country, a disease has shown up where it has no business being. We spent a lot of time this spring speculating on its origins; bats, migrating from deforestation in central Africa, seem to be he likeliest source, but that idea developed so early in the story that it’s almost certain to be refuted by some dramatic discovery later in the story. That’s how plots work. Any story is anecdotal evidence for a particular view of the world, and conflicts around a clash of worldviews make for good drama. For many in the West, the Ebola outbreak is evidence for the superiority of western medicine and public-health principles. Yet for many people in West Africa, the Ebola outbreak is evidence that embracing the West and rejecting tradition and custom will destroy society. This outbreak didn’t exist in the past, and now we have a diseases that escaped from the jungle after being colonized and globalized and modernized. The most dangerous vectors in spreading the disease have been the Western educated elites – doctors and beaurocrats – who hopped on a plane to save themselves at the expense of the society at large. It is against this setting that we have Liberia’s president Sirleaf Johnson shouting that Ebola is real. Her ivy league PhD in economics does not give her credibility in the modern vs traditional debate. We tell a story by embodying a world view (or competing world views) in our characters, and then subjecting those characters to a series of stressors. In the hands of the writer, those with the “correct” world view triumph and those with a wrong world view perish, or are defeated. 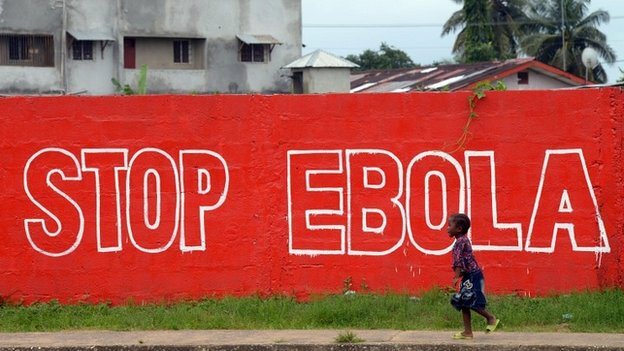 In the Ebola narrative, West African society itself is under stress. Families are arming themselves to retrieve their relatives from hospitals, or hiding cases at home or in the bush. This is not because they’re stupid, but because they are struggling to maintain their values and therefore their identities—one of the most powerful motives of all. Nor have Western values been very successful in Africa. With centuries of slavery and economic exploitation to look back on, Africans can be forgiven for seeing Ebola as a pretext for still more exploitation, if not directly by westerners then by their own western-oriented government officials. A good plot involves a series of increasingly serious problems with unforeseeable outcomes. So we watched Ebola arise in eastern Guinea, then turn up in Conakry. Then Liberia started reporting cases. Sierra Leone seemed mysteriously exempt, but Ebola turned up there as well, and now has more cases than anyone else. The Ebola narrative even has another mystery-suspense McGuffin – evidence that the problem is much larger than we’re being told, because the facts don’t fit the pattern of other outbreaks (not enough rural cases). The threat to healthcare workers is another way to ratchet up the tension: the caregivers must armor themselves like Homeric warriors, and like warriors they fall anyway. Some flee their hospitals, or go on strike, or endure rock-throwing mobs. The case of Dr. Umar Khan creates still more anxiety: He’s been called a “national hero,” so if he dies Sierra Leone will be like the Trojans watching Hector’s body being dragged around the city walls by victorious Achilles. The mystery plague origin is another story device that appeals to many audiences. Newspapers in July often talked about the outbreak as being unexpected, a mystery source when the scientific evidence that local bats carried the virus in Sierra Leone was known. It plays well in books and movies. There’s a thrill to it. Speculation offers many people on TV who don’t really have any idea what to say something to talk about for hours. It ignores science and evidence, and turns real life tragedy into an adrenaline-based fictional story for reading before bed. It even erases the victims and the facts – such as that first family who died in December 2013 of Ebola in West Africa, to those who died just a few minutes ago. Patrick Sawyer’s death has now raised the stakes in this story. The present hot zone is one of small, poor countries. Nigeria is big. If Ebola were to get into the 20+ million residents of Lagos, it might become unstoppable. With vast oil wealth and equally vast poverty, Nigeria’ would undergo and severe test of its social values—and just at a time when it has trouble enough. In the same week that Sawyer died, so did 110 people in a double bombing. Meanwhile Boko Haram rules in the northeast. When you think things can’t get any worse in a story, that’s when they get worse. At some point, the hero’s ambitious plan is thwarted and he or she is forced to retreat and reconsider. The Ebola denialists (who are the heroes of their own narrative, after all) will have to choose between death and acceptance of foreign values. This will be the climax for a novelist, or the tragic crescendo in real life. 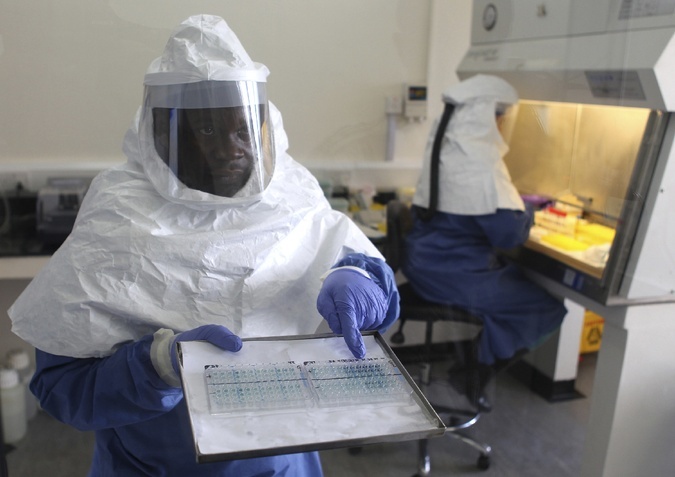 Westerners will face their own setbacks as Ebola eludes our countermeasures. 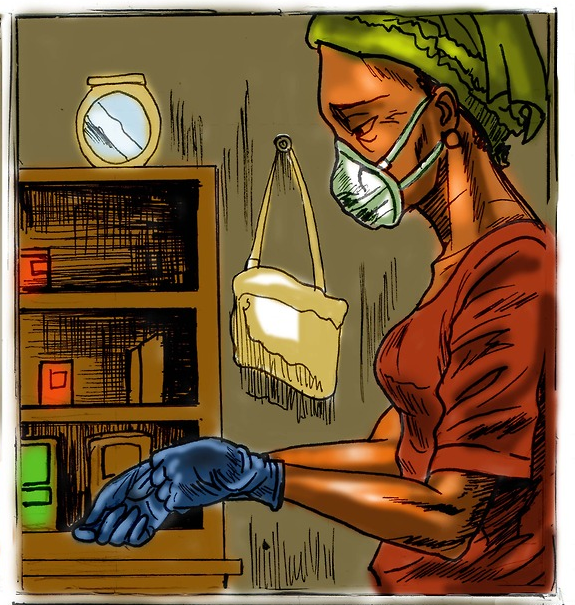 Do we have the money, the people, the skills, and the will to suffocate this outbreak? And what does it say about modern democracy if we can’t? Ebola holds our attention, but not because it’s a serious threat to all humanity. It’s because it has many storytelling devices that grip us, and would keep our attention even when larger problems loom. It is the same reason that a girl falling into a well or miners trapped in a cave keep us awake but thousands in a refugee camp are ignored. In spite of this, I am amazed at how difficult it is to find first-hand reports of the epidemic on the Internet. So rare that I started ebolastories.wordpress.com so that I could curate them in one place. There isn’t enough being saved of what peoples’ lived experiences are like.